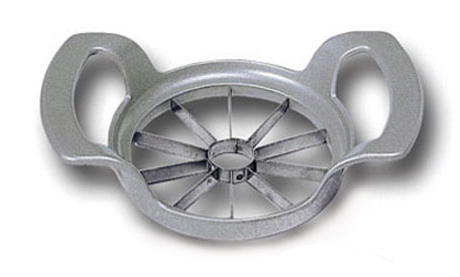 Made of cast aluminum, epoxy treated with stainless steel blades. 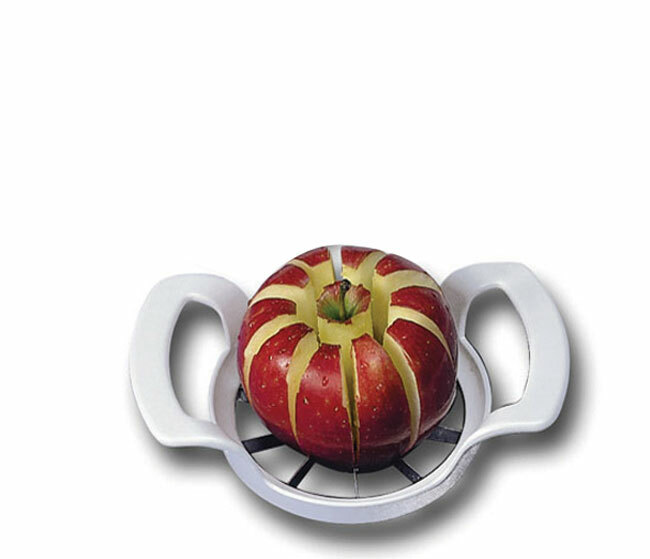 In one push this tool cores the fruit. Dishwasher safe. Cuts it in 10 uniform parts.